Learning a new language requires a game plan. No one wants to waste time and get poor results. If you’re looking for the best way to learn Chinese, then this is the post for you. In my past posts, I’ve talked about learning Pinyin. You can check that out here. I’ve also talked about the tones of Chinese. You can read that post here. These are just rudimentary starting points, though. If you’re really looking for the best way to learn Chinese, the next step is to dive into the Chinese character system. What are Chinese characters? Chinese characters have a history dating back more than two thousand years. Chinese doesn’t have an alphabet. It is written with symbols. These symbols are called Chinese characters. The early forms of Chinese characters were pictographs (graphic representations of real objects), but characters became more stylized and came to represent ideas as well as objects. Each Chinese character represents a syllable of the spoken language. Characters represent words, but not every character is used independently. If you’re at all familiar with Chinese characters, you might have heard reference to traditional and simplified character sets. Here’s what that’s all about. In an attempt to improve literacy, the Chinese government began simplifying characters in the 1950’s. These simplified characters are used in Mainland China, Singapore, and Malaysia. In most cases, Taiwan, Macau, Hong Kong, and overseas Chinese communities still use the traditional characters. So what’s the difference? Traditional characters have more strokes, and take more time to write. Both characters have the same pronunciation and meaning, but the simplified character is easier and faster to write. If you’re truly interested in the best way to learn Chinese, I strongly suggest you pick up the Chinese character system, and focus on simplified characters. How does Chinese characters work? Each Chinese character is a (monosyllabic) unit that combines with other unit(s) to form words. There are a total of 410 common pinyin syllables (see details in pinyin chart in next page). The word syllable is a term referring to the units of a word, composed on an (optional) initial, a final, and a tone. Most spoken syllables in Mandarin Chinese correspond to one written Chinese character. 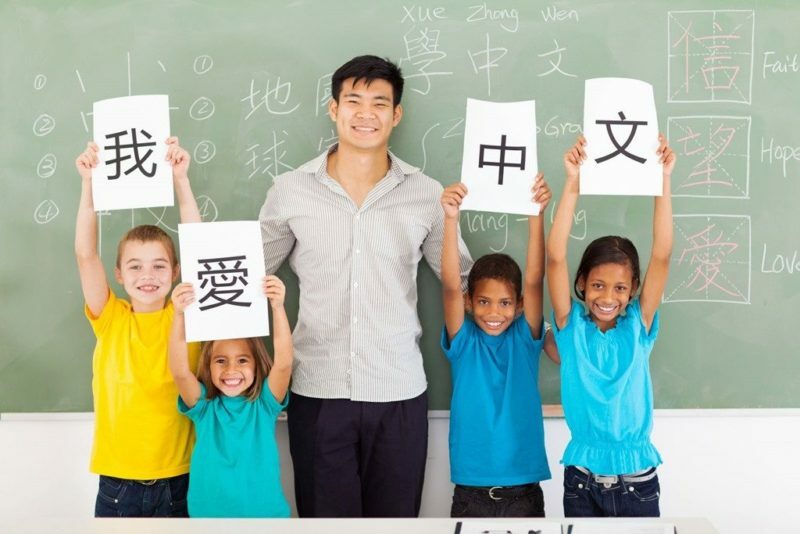 There is no universally recognized system for joining pinyin syllables together, words are joined if they form a semantic unit or are hyphenated to indicate a grammatical connection. There are over 100,000 Chinese characters recorded in the most advanced Mandarin Chinese dictionaries, but most of them are seldom used today. New Chinese symbols are developed all the time, so the amount of Chinese characters never stops increasing. For basic reading and writing of modern Chinese, you only need to know a few thousands. The average high school-educated Chinese person is thought to know somewhere between 3,500 and 4,000 characters. That may seem like a lot, but conquering that many isn’t as difficult as it seems. Just think how many words you know in your own language? Furthermore, you’ll find reading characters much easier than actually writing them out according to your memory. And luckily for learners, writing characters is less and less important with technology taking over. You should also know that knowing a character does not always equal knowing a word. Chinese characters on their own can have varying meanings, or they can simply have a grammatical purpose and no meaning at all. “的”, for example is used to indicate possession. These particles are few, however. Words are normally combinations of characters. In order to make sense of written Chinese, you’ll need to know words, too. Sometimes you can discern what a word means based on the characters it contains, but sometimes you can’t if you haven’t studied enough. So that’s it for this post. I know it can seem a bit daunting, but if you’re really serious about the best way to learn Chinese, diving into the character system is the way to go.